Kaya Scodelario was born in London, England. Right away, there was something different about her. Although she had a British upbringing, Kaya Scodelario had Brazilian roots and she spent time learning Portuguese until she was fluent in the language. At the age of 14, Kaya Scodelario decided to pursue acting and she auditioned for Skins, the debut series for new channel E4. Amazingly, Kaya Scodelario won the role of Effy despite the fact that she had no other acting experience to speak of. Maybe it was a stroke of luck or a glimpse of raw natural talent, but either way, Kaya Scodelario was pleased to have the opportunity and joined the show in January 2007. After an inauspicious debut in which she had no lines, Kaya Scodelario's role of Effy proved to be quite a test. At the forefront of many disasters, including stalkers, death and sexual pressures, Effy became a fan favourite for her ability to somehow resolve testing life situations while keeping her head above water. 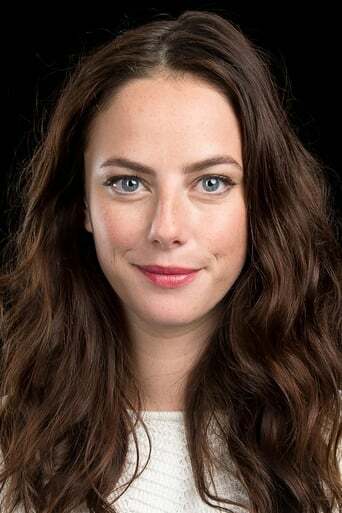 As the role became more challenging, Kaya Scodelario came to like it even more since she likened Effy's difficulties and loss of friends to real life. After two seasons of Skins, the series endured an overhaul at the end of 2007. Feeling that most of the characters had run their course, every character was written out of the series except for Effy. This was a significant change because it meant that Kaya Scodelario would be the most recognizable face for season three. As Kaya Scodelario waited for the new season of Skins to begin, she has taken advantage of her recent clout to seek out additional career opportunities. She joined the elite agency Models 1 and soon had a photo-op as the cover model for SUPERSUPER Magazine. Kaya Scodelario may be fostering her modeling career, but she is also making her feature film debut with a role in the 2009 film Moon. It stars Sam Rockwell as an astronaut suffering from surreal encounters while on the lunar planet.